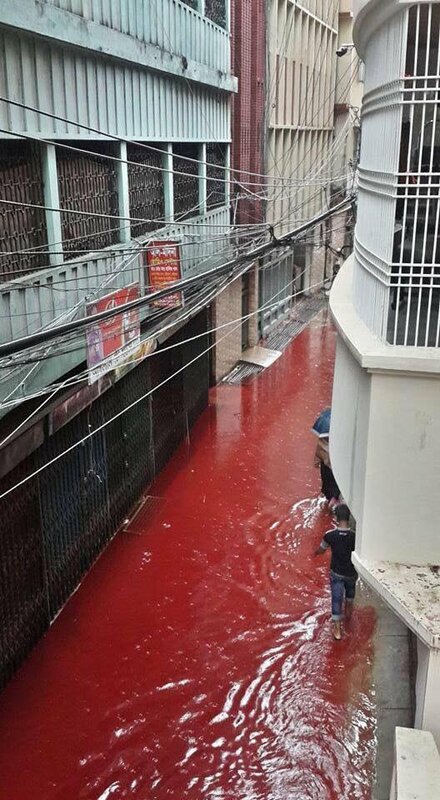 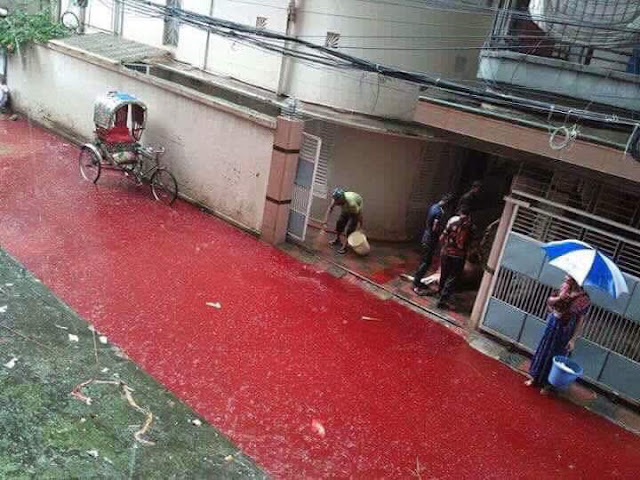 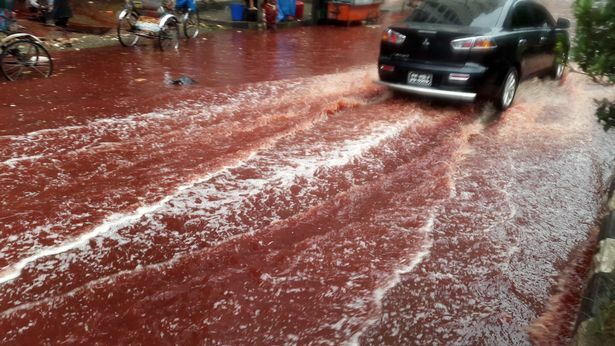 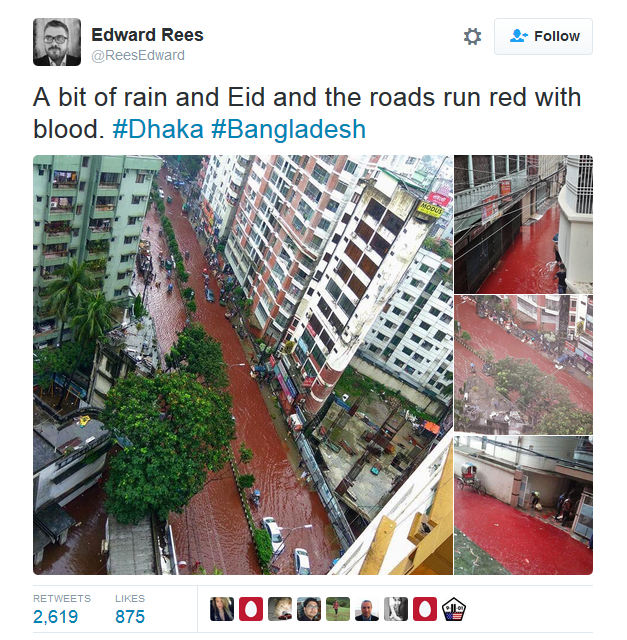 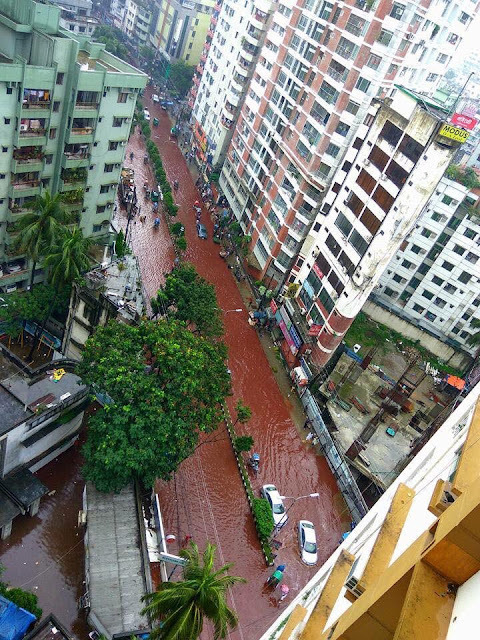 Grisly photos show the streets of Dhaka in Bangladesh were flowing with blood after animal sacrifices for Eid combined with heavy rains . 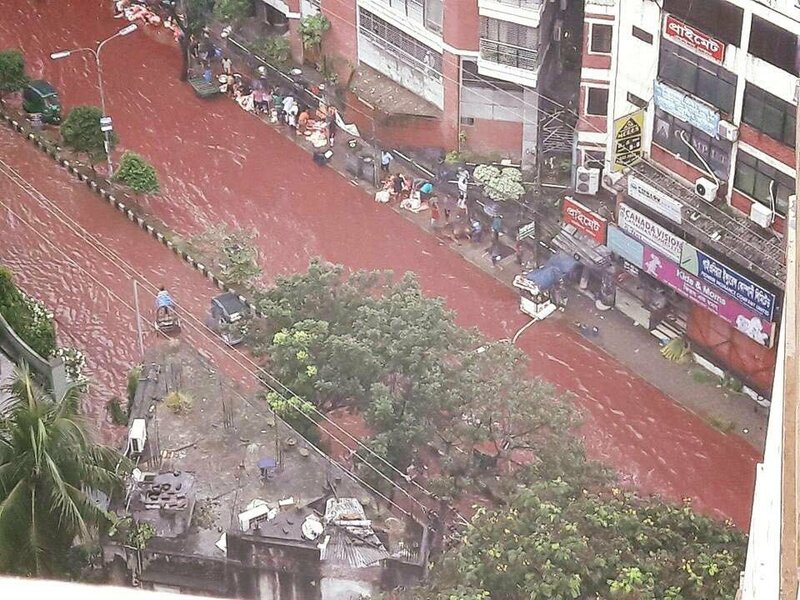 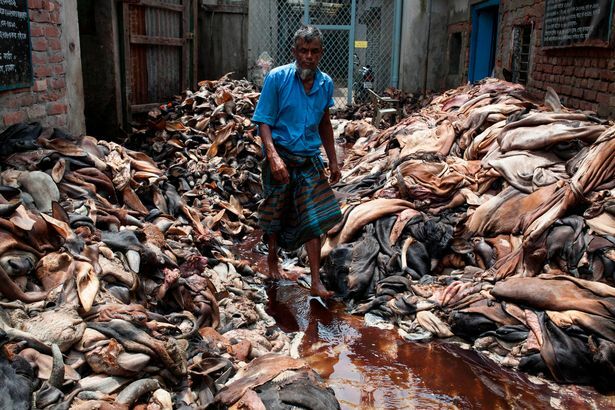 Police in the Bangladeshi capital Dhaka had allowed the traditional slaughter to take place in certain designated areas of the city. 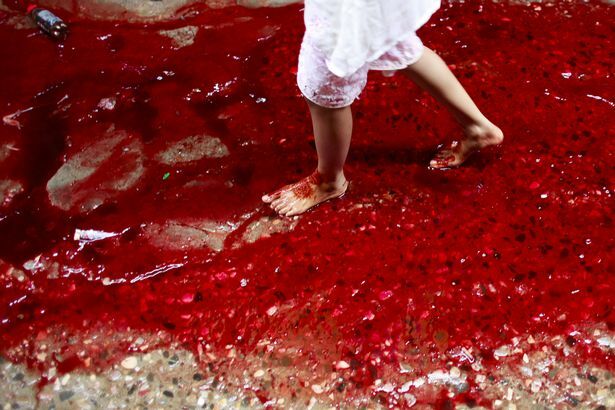 However heavy downpours made many of the spots impossible to use as blood from the slaughtered liverstock, mixed with the flood water.